Impromptu is an extension to help provide a more pleasant way to spontaneously prompt a user for input. More or less this is a great replacement for an alert, prompt, and confirm. Not only does it replace these but it also allows for creating forms within these controls. 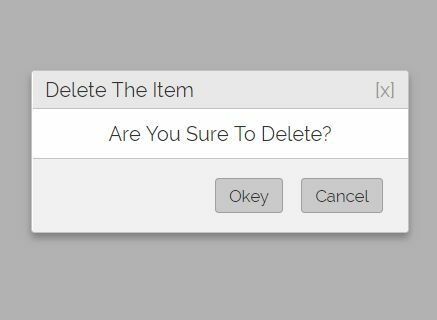 This is not intended to be a modal replacement, just a quick tool to prompt user input in a fashionable way. This awesome jQuery plugin is developed by trentrichardson. For more Advanced Usages, please check the demo page or visit the official website.